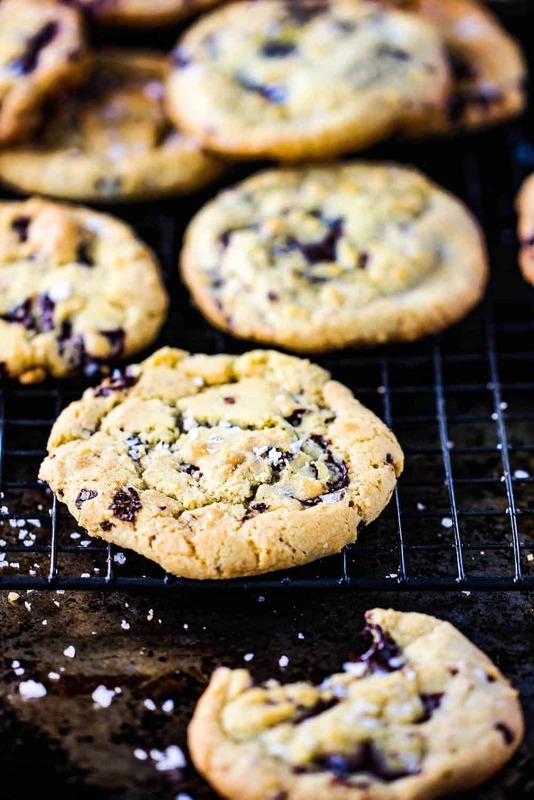 Classic Chocolate Chunk Cookies are the things dreams are made of. At least the dreams in our house. And we’re guessing, maybe your house, too. Ooey, gooey, chocolatey, and just so yummy. Cookie perfection. This recipe is the classic version that just can’t be beat. 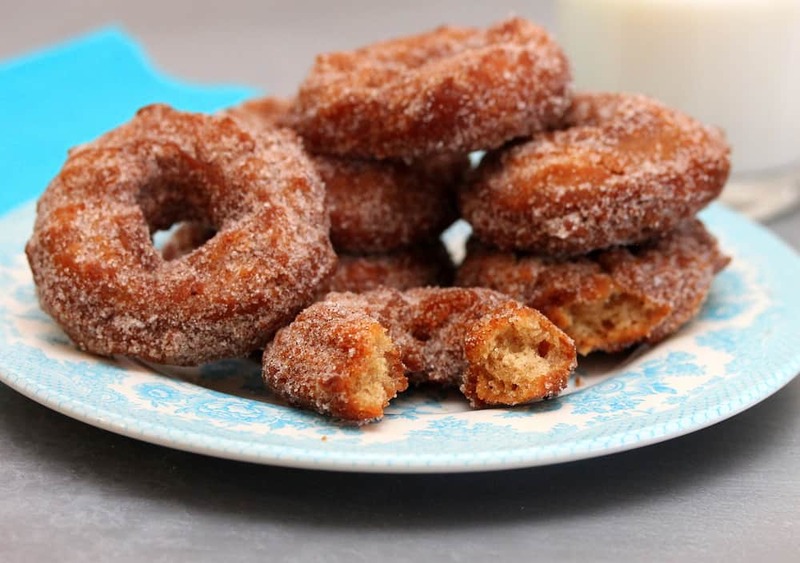 The ingredients are simple: flour, butter, sugar, eggs, vanilla…and of course: chocolate. 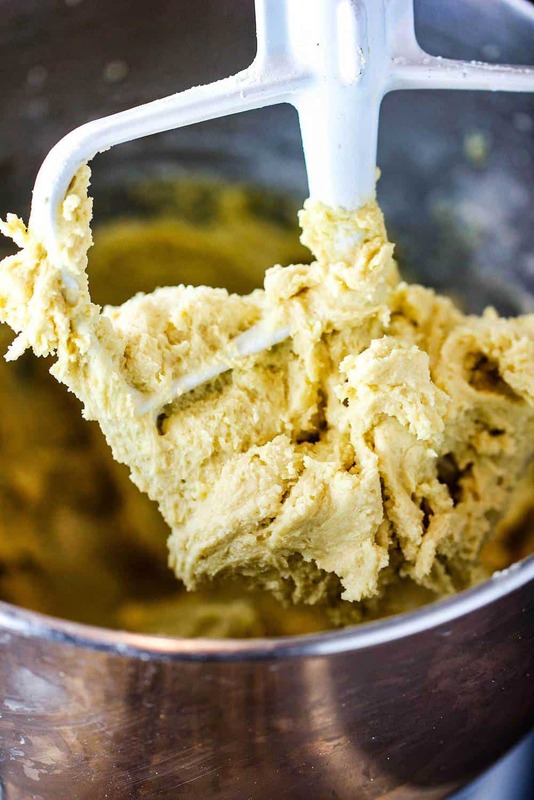 Make sure your butter is softened to room temperature to get the perfect cookie dough. For a more chocolatey experience, we love to get bittersweet chocolate bars, and then just give them a good rough chop. Of course, chocolate morsels are great, too. But what we could be more satisfying than digging into nice, big chunks of chocolate. I mean, it is called a Chocolate Chunk Cookie, for goodness sake! 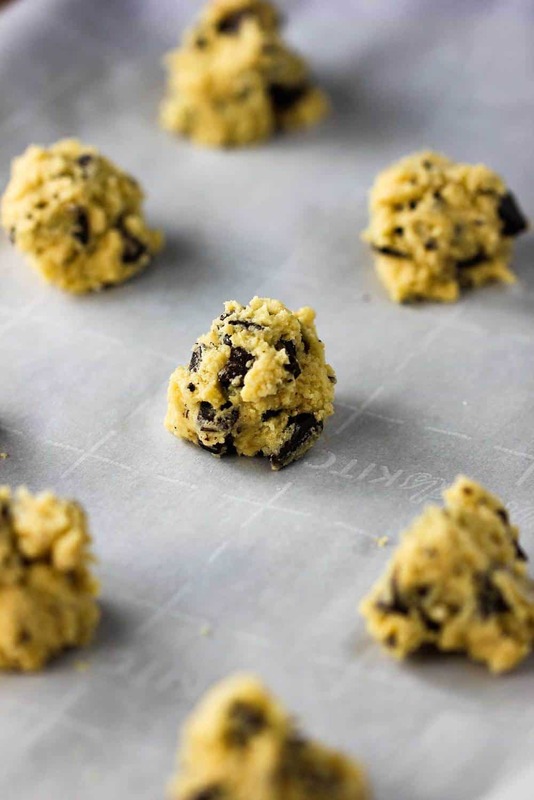 We know there are great pre-packaged cookie doughs out there that are so easy to pop in the oven and have them ready within minutes. But there is almost something magical that comes from a made-from-scratch cookie. 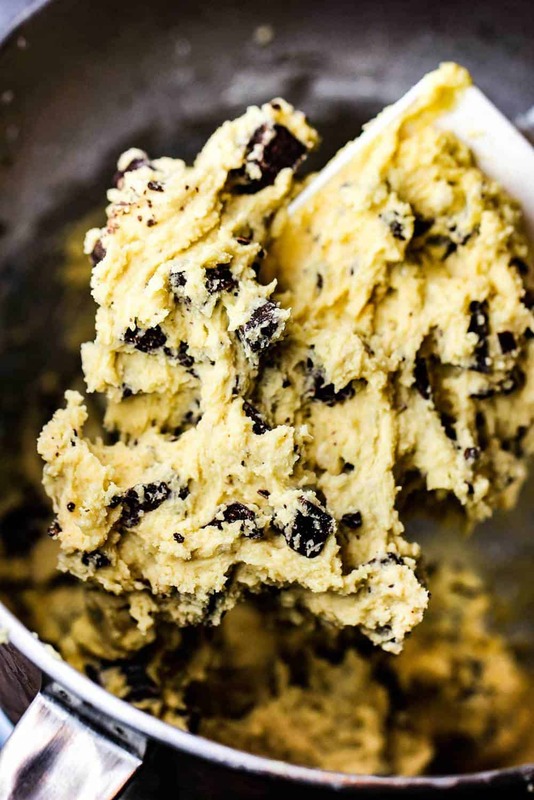 And, these Classic Chocolate Chunk Cookies are really simple to make! These cookies will immediately conjure childhood memories with each delicious bite. They are almost transcendent fresh out of the oven. But grabbing one, or two, the following day, hopefully with a cold glass of milk, is truly something special, too! To amp up the flavor, we think sprinkling some finishing salt flakes, such as Maldon’s, is a spectacular touch. Add the salt before or after baking. 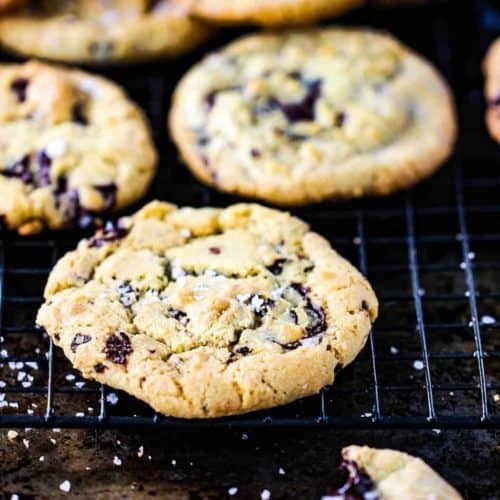 You will be surprised how a touch a crunchy salt works so beautifully with the creamy richness of the cookie. 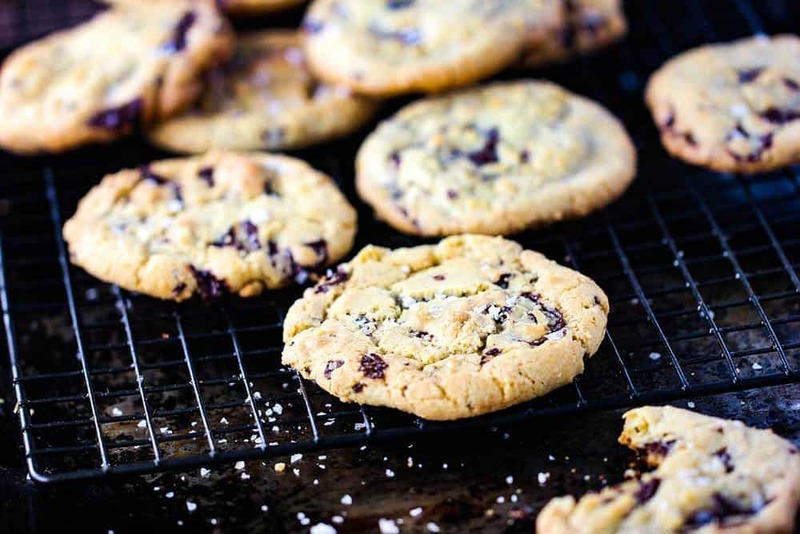 Mmmm…Chocolate Chunk Cookies! Where have you been all our lives!! GET IN OUR BELLIES! 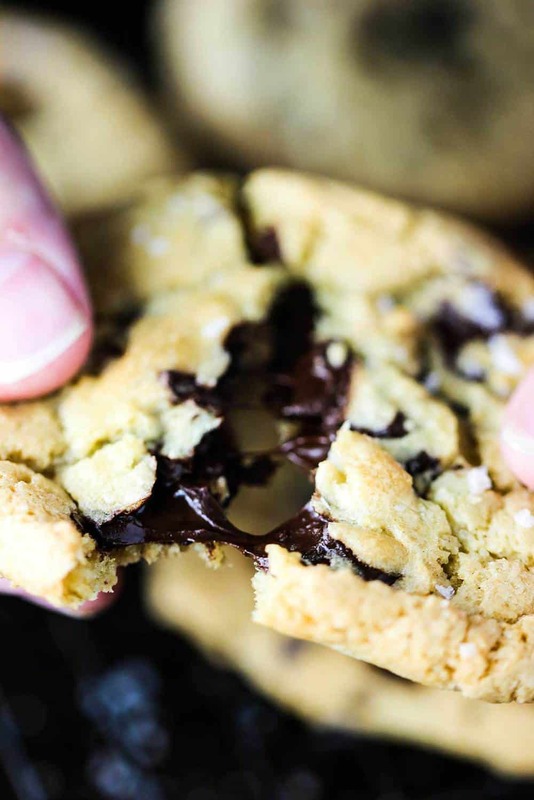 These Classic Chocolate Chunk Cookies are everything you think they should be: ooey, gooey, chewy, chocolatey, and simply delicious. Kids and adults will be running back for more of these classic cookies.